1. It’s too long, inconsistent, or redundant. 2. It reads more like an operations manual. An overly-detailed handbook becomes too much of a procedures manual. For example, it’s important to state that complaints of harassment will be responded to with a prompt and thorough investigation. But the policy should avoid giving too much detail, such as the number of days to expect each step of the investigation to take. Ultimately, if the employer needs to be flexible and deviate from unnecessary details in the handbook, this can be used against them. Another area that often gets too detailed is the progressive discipline policy. If an employer has a collective bargaining unit, there are reasons these details may need to be given. But sometimes nonunion employers will have progressive disciplinary policies in their handbooks that don’t allow them to maintain flexibility in handling employee behavior or performance issues. 3. It sounds too overbearing or paternalistic. 4. It’s missing information that affects enforcement. 5. It doesn’t identify the right contact people. One of the things I see frequently is employers missing the opportunity to specify who their company’s “first responders” are. These are the company representatives who will receive reports of anything from alleged misconduct to medical leave. Employers should be selecting these people appropriately and training them about their role. For example, a person who receives reports of absences should understand when FMLA or local leave laws might come into play. A person who may receive reports of harassment should be trained to determine whether it’s a general grievance best handled by an immediate superior or if it will need a more formal investigation. However, the handbook will be more durable if you mention the reporting person by title and not name. 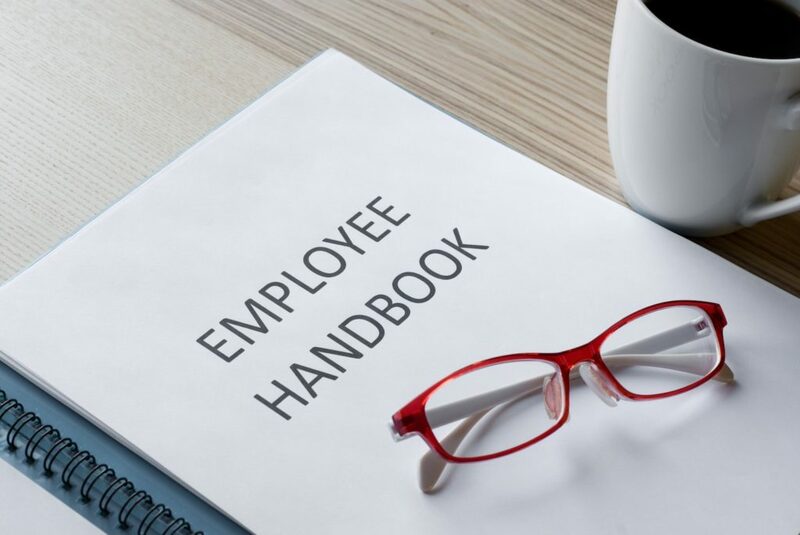 Be sure the titles used in the handbook match the titles that actually exist in your organization; for example, don’t tell someone to report misconduct to the HR director if you don’t have an HR director. For more information or to get a quote for HR consulting, call our office at 770.339.0000 or fill out our contact form here!